Core principles like the right messaging for customers will always be relevant, but what about the biggest trends and innovations that look set to shape marketing in 2019? As a new year starts, marketers and businesses will be looking for ways to take their organizations to the next level. Review these key six trends and start exploring how you could leverage them to stay ahead of the competition in 2019. AI will continue growing in importance in driving customer segmentation and greater personalization in digital marketing. Specifically, it will play a role in retargeting, push notifications, click tracking, and even content creation. The technology is at a level where it can do so, with tools like predictive analysis, machine learning, and natural language processing available. At the same time, AI can help to produce ever more precise insights from the increasing amounts of big data that marketers are dealing with. Recent trends in 2019 include using AI for product recommendations, campaign optimization, and customer experience and support. AI can also be used to turn marketing qualified leads into sales qualified leads and to deliver headlines and advertising copy. With more people using ad blockers, businesses could be looking for other ways to reach consumers. It’s because of this that native advertising is set to explode in 2019—taking up a significant percentage of total ad spending. Native advertising bypasses ad blockers while helping your message reach its intended target and boosting engagement rates. These ads that don’t look like ads resemble normal content and could be more appealing for leads. One of the most popular ways to use native advertising is on social media, where your audience tends to be more receptive. This allows you to take advantage of native advertising is to make sure it’s seamless. That means the ad should relate to the website’s content. Chatbots are commonly used as virtual assistants to help leads and traffic. They use both text and verbal communication to interact with customers and can provide basic information and respond to basic consumer queries. The right chatbot platform can give you highly personalized, focused, and relevant interactions. Chatbots are a trend to watch for 2019 because they shorten wait times and can boost the number of interactions and conversions. At the same time, they can save you on customer service costs. You can use chatbots to start conversations with customers, answer FAQs, and improve personalization in interactions. Chatbots might even be able to be integrated with fully automated front-end systems to carry out product or service orders without any human input from initial contact to delivery. With Siri, Google, Alexa, and other voice-enabled smart devices now in the mainstream, verbal interaction, will likely grow in 2019. More consumers will become accustomed to verbally interacting with their devices, and this could mean more searches, discoveries, and shopping through verbal interactions. 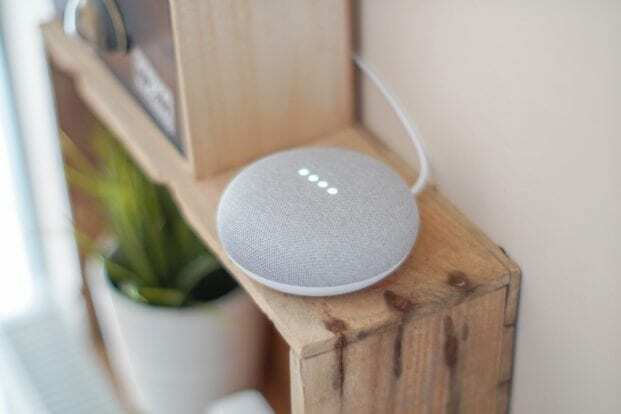 Business could prepare for voice searches by considering how search engine and smart devices treat their business. Voice search will accelerate as more people adopt the technology, reshaping how people discover your brand, and how you advertise. In 2019, businesses will continue to push the boundaries in email-marketing innovations. Beyond the recent ones like enhancing relevance and interactions on phones, email marketing could become increasingly automated. Email automation will be more focused on integrations with content marketing—at the right touchpoints of the marketing and sales cycle across channels. Examples of these include hyper-personalization, integrating machine learning into marketing automation, and optimized integration with content strategies. Reducing time wastage and error while enhancing personalization could be some of the driving factors of this trend. Businesses will want to have a plan for integrating email into their overall content strategy, along with repurposing email as a lead-nurturing and customer-engagement tool if they haven’t already. Programmatic advertising could break new boundaries in 2019, and it could cast its net wider as businesses use it to buy and sell media across more marketing channels. In the very near future, programmatic advertising could be used in everything from online ads and video to digital out-of-home voice and TV and streaming. This trend will likely accelerate because it automates the process for pushing out digital ads in an omnichannel context. That’s because it offers guaranteed impressions and a reach into different audiences beyond continuous campaigns. Another driving factor behind its rise is the fact businesses can work with just one company for their digital advertising rather than a list of vendors. Businesses can take advantage of the growth of programmatic advertising by understanding what’s available, exploring what they need in this area, and seeking out a programmatic advertising tool that meets their needs. How will these trends continue to evolve? The acceleration of AI technology will likely continue to empower marketing outcomes like personalization and customer segmentation in 2019 and beyond. This is related to the growing ubiquity of chatbots and voice searches, which are likely also major trends for the longer term. Additionally, programmatic advertising and native advertising will shape how marketers reach consumers in the years to come.